Paddington Bear first appeared in public way back in 1958 after being created by author Michael Bond. He’s a much loved, British character who has withstood the test of time and is still going strong in 2017. The Paddington 2 movie due for release in November this year and Rainbow Designs have a great range toys to coincide with this. 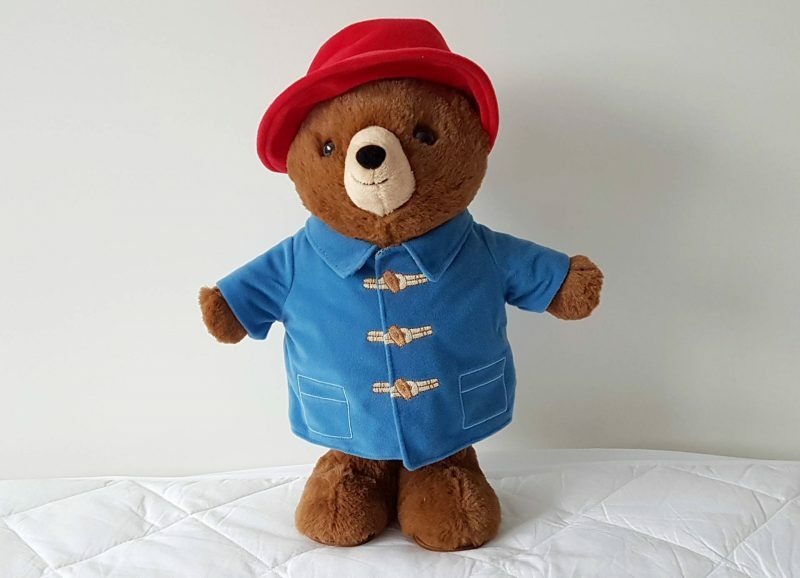 We were recently sent Dancing Paddington who is a bear of many coats! His coat is reversible so he can wear his traditional instantly recognisable blue jacket and red hat or opt for something a little more funky and change it round to his brightly coloured calypso-style shirt for a more Summery look. Paddington is super soft to touch and the little man loves stroking his soft fur. If it wasn’t for his hard lower half, he’d be the perfect companion to cuddle up with. 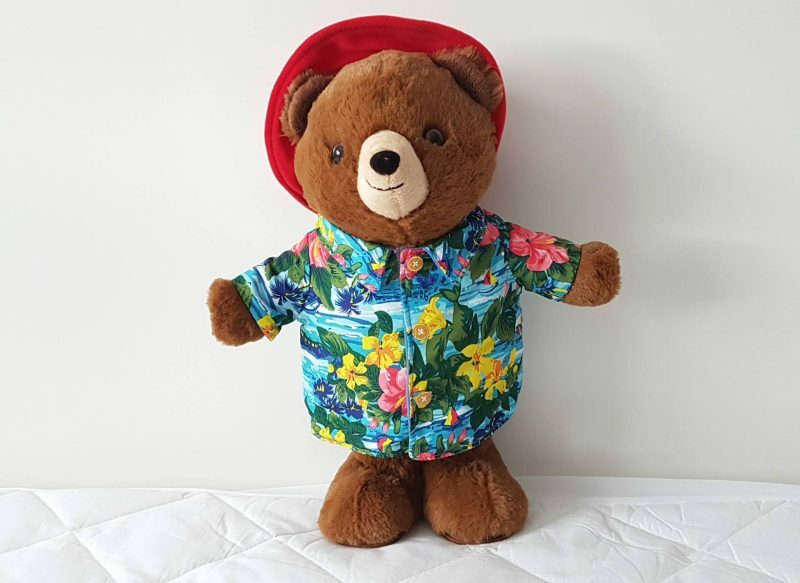 Paddington swings his hips to calypso music when you press his right hand and when you press his left, he says a range of five different phrases, including “Hello, I’m Paddington” and It’s nice being a bear”. He takes 3 AA batteries which are thankfully already inside when you purchase him. 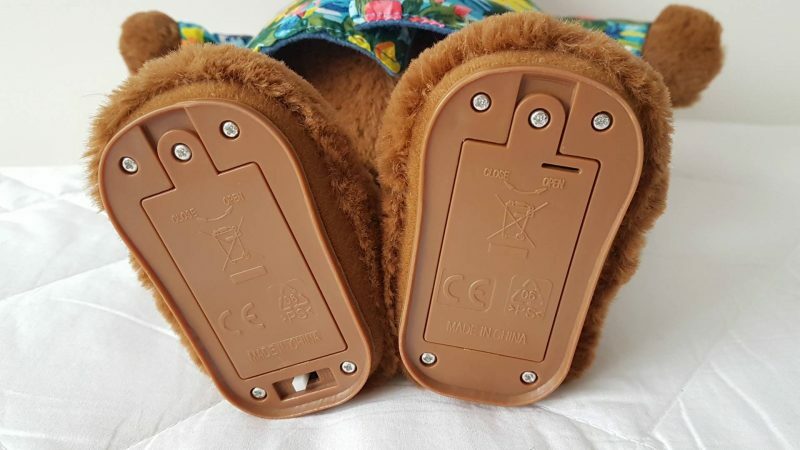 However when you need to change the batteries, you simply open up Paddington’s feet with a screwdriver and replace them. 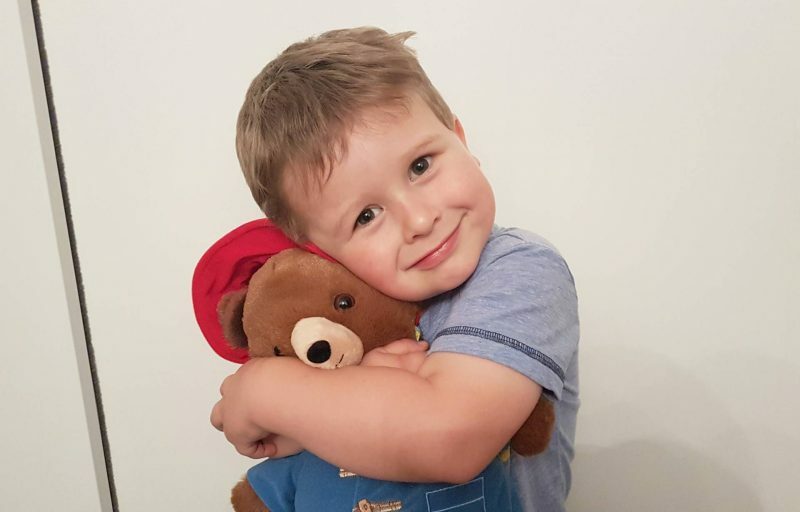 Paddington is suitable for children over the age of three years and if your child is anything like mine, they’ll be mesmerised by his dancing. Prepare yourself for the repeated pressing of his hands and finding yourself humming along to the calypso music. I’d liked it if there were a few more tunes or sounds but I don’t think the little man minds. He seems very impressed with the music and loves to dance along. 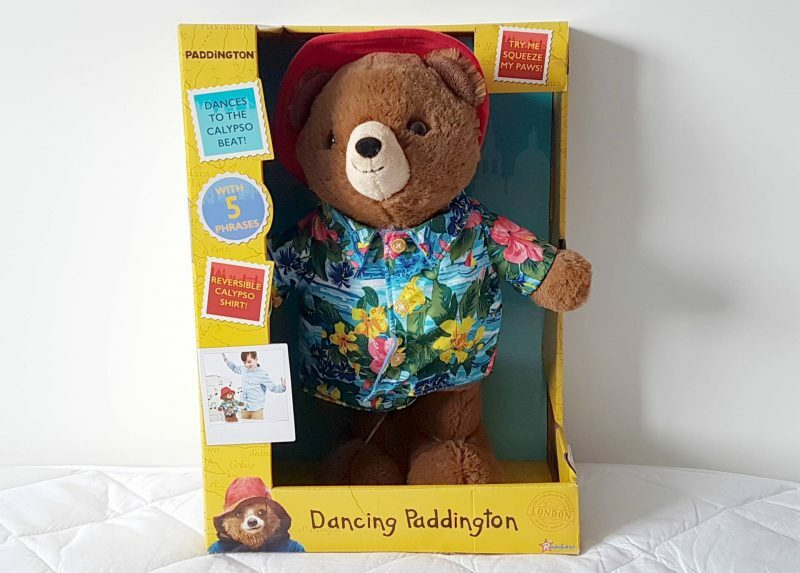 Dancing Paddington is available to buy at Argos and costs £29.99 which I do think is quite pricey for a toy with limited features and playability. However, the little man does like him and the quality of the toy is very good. He’s sturdy, well made and he comes with batteries. I think he’d make a great gift for any Paddington fans, young or old. 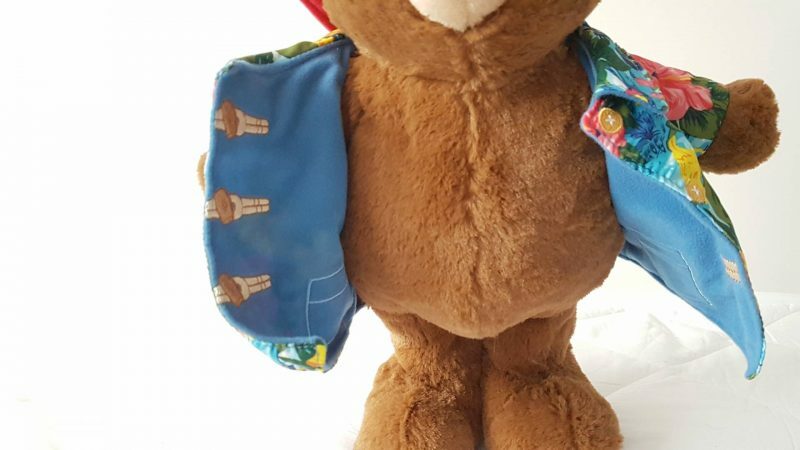 The lovely people at Rainbow Designs are offering my blog readers the chance to win their own Dancing Paddington. To enter, please complete the Gleam form below. UK winner will win 1 x Dancing Paddington from Rainbow Designs. 5. ALL entries are checked and if any of your entries are found to be fake ALL of your entries will be disqualified. 6. You will have 28 days to respond to the winning notification, if you don’t a new winner will be chosen. * We were sent Dancing Paddington in return for an honest review. Previous Post Why are there painted rocks in the North East – What are #TynesideRocks?